Social Security disability is a social insurance program under which workers earn coverage for benefits, by working and paying Social Security taxes on their earnings. The program provides benefits to disabled workers and to their dependents. For those who can no longer work due to a disability, the disability program is there to replace some of their lost income. HOW TO QUALIFY FOR DISABILITY BENEFITS? To receive disability benefits, a person must meet the definition of disability under the Social Security Act. 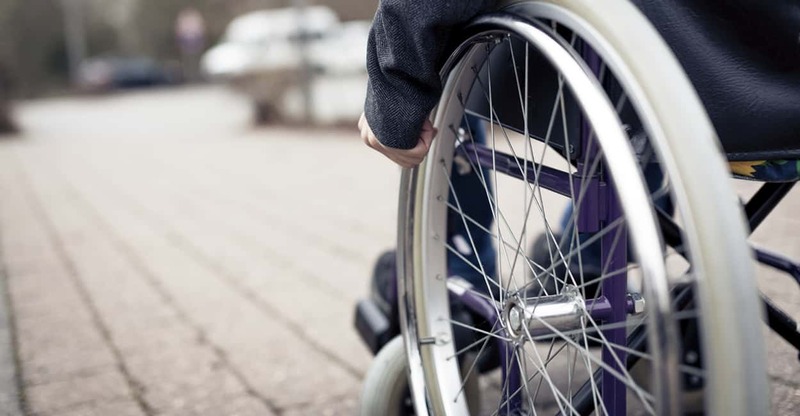 A person is disabled under the Act if he or she cannot work due to a severe medical condition that has lasted, or is expected to last, at least one year or result in death. The person’s medical condition must prevent him or her from doing work that he or she did in the past, and it must prevent the person from adjusting to other work. AGE: You can receive Social Security disability benefits at any age. If you are receiving disability benefits at age 65, they become retirement benefits, although the amount remains the same. INCOME/ASSETS: You can receive disability benefits even if you have substantial assets, as long as you are incapable of performingsubstantial gainful activity. For blind individuals, substantial gainful activity is earnings that exceed $1,820 per month. For non-blind individuals, substantial gainful activity is earnings that exceed $1,090 per month. LENGTH OF WORK: To qualify for Social Security disability benefits, you must have worked long enough and recently enough under Social Security. You earn up to a maximum of four credits per year. The number of work credits needed for disability benefits depends on your age when you become disabled. Generally you need 20 credits earned in the last 10 years ending with the year you become disabled. However, there are other rules for workers under age 24, age 24 – 31, and age 31 or older. You can apply for disability benefits as soon as you become disabled online or at any Social Security office by phone, mail or by visiting an office. The Social Security office will review your eligibility. If you are eligible, the office will send your application to the Disability Determination Services office in your state. If your claim is not approved, you can file a request for reconsideration. If your request for reconsideration is denied, you can request a hearing before an administrative law judge. If the judge denies your claim, you can file an appeal for a review of the judge’s decision with the Appeals Council. The length of time to act after each decision is 60 days. If the Appeals Council denies your claim, you can then file an action in federal district court. DO YOU NEED A LAWYER TO HELP YOU WITH YOUR CLAIM? A lawyer can get information from your Social Security file; help get your medical records and information to Social Security to support your claim; come with you to any interview, conference or hearing; request appeals; help you and your witnesses prepare for a hearing as well as question witnesses at your hearing; and write legal briefs. Most importantly, a lawyer can interpret the rules and regulations governing your specific claim to present your case favorably. As long as you are competent to complete the application and documents that Social Security requires, you may want to wait until you get your first decision before hiring a lawyer. If you are found eligible, then you do not have any legal expenses. However, if your claim is initially denied, it is advisable to get legal representation as soon as possible. A knowledgeable lawyer will determine specifically why you are being denied, andwhat additional medical and legal documentation is needed for you to be successful. Social security regulations and rules are extremely complex. The legal ability to know and understand those regulations with regard to your specific circumstances is invaluable. HOW MUCH CAN A LAWYER CHARGE TO HELP WITH YOUR CLAIM? To charge you a fee for services, a lawyer must file either a fee agreement or a fee petition with the Social Security Administration. The Administration will approve a fee agreement as long as it is signed by you and the lawyer, your claim is approved and you are getting past-due benefits, and the fee is not more than 25 percent of past-due benefits, or $6,000, whichever is less. A lawyer may,instead, file a fee petition after completing work on your claim(s). You must be given a copy of the fee petition. If you disagree with the fee, or the information shown, contact the Social Security Administration within 20 days. The Administration will consider the reasonable value of the services and tell you, in writing, the amount of the fee approved. If you disagree with the approved fee, you must within 30 days from the date the fee is authorized tell the Administration. Your lawyer can charge you, however, for out-of-pocket expenses such as costs for medical reports, without approval.